Soothe achy muscles and a tired body in a warm bath with these soothing bath salts. A Refill for the Glass Jar that is sold with the Muscle Soother Bath Salts Jar product. But you don't need to have the Glass Jar to use these. 6oz. Enough for about 4 baths. Handmade with Epsom Salt, Dead Sea Salt, Himalayan Pink Salt Dendritic Salt and pure essential oils including Lavender, Rosemary, Peppermint, Eucalyptus. 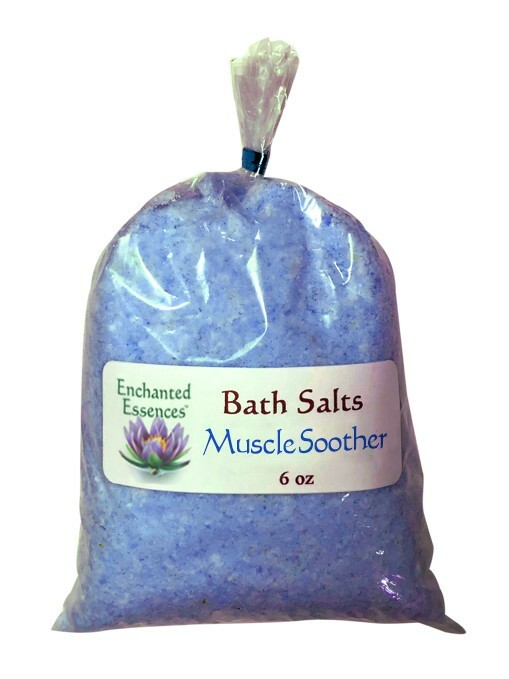 A Refill for the Glass Jar that is sold with the Muscle Soother Bath Salts Jar product. But you don't need to have the Glass Jar to use these. 6oz. Enough for about 4 baths.